This map is from the French edition of Zebulon Pike’s 1810 report entitled An Account of Expeditions to the Sources of the Mississippi and through the Western Parts of Louisiana… During the years 1805, 1806, and 1807, etc. Following the 1803 Louisiana Purchase, President Thomas Jefferson dispatched Lewis and Clark to northwest and Zebulon to the southwest to explore the new territory. Pike’s surveys traced the Arkansas and Red rivers to their sources. During his expedition, Pike was arrested and escorted to Santa Fe and later to Chihuahua City, where he met with the governor, who ordered that he be escorted back through Texas and released to the American authorities. 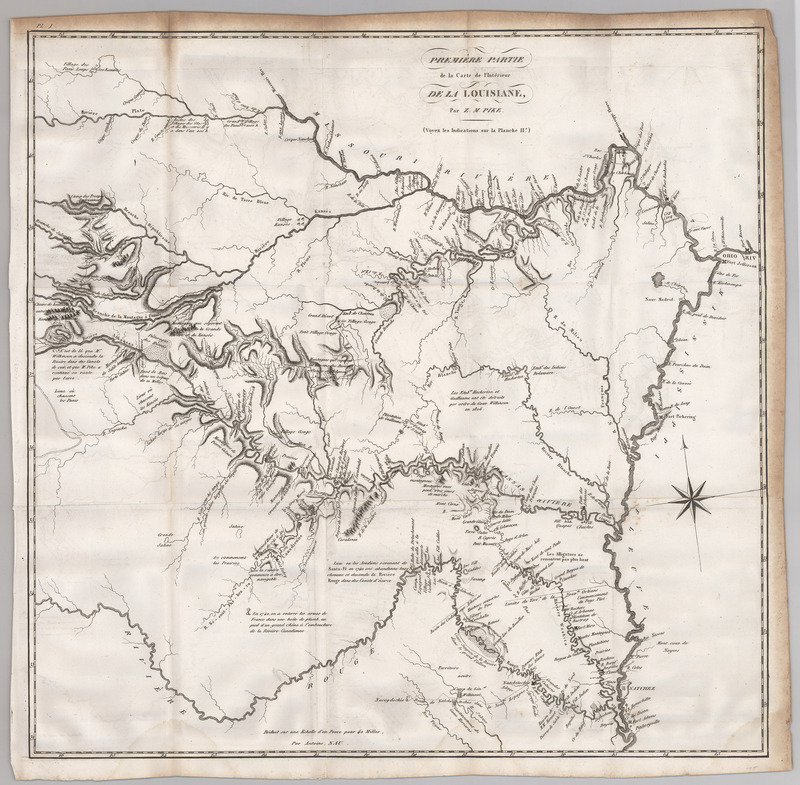 Pike’s published report predated Lewis and Clark’s by more than four years, and his map is the earliest to accurately show the northeast corner of Texas.